The legendary figure of ‘Matilde di Canossa’, its mythical character of the twelfth-century inspired the brand name for the delicatessen ‘Terre di Matilde di Canossa’. A company specialized in production and diffusion of local products from Emilia Romagna created a wonderful mixture of unique flavours from our local agricultural traditions. 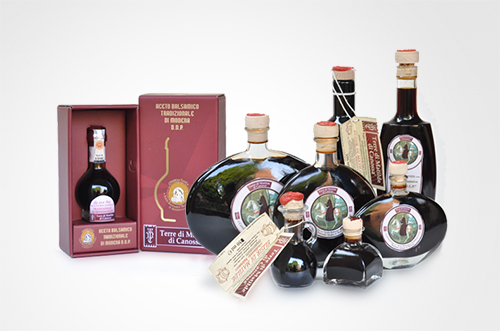 From the Traditional Balsamic Vinegar DOP to the homemade , Liqueurs and Grappa are all produced from selected marc that in part comes from our farm. "... a wonderful mixture of unique flavours from our local agricultural traditions ... "